One of my ultimate weaknesses is candles. I'm all about smells and having a nice smelling home is an obsession of mine. I love getting home and lighting a candle especially in this horrible weather at the moment, it just makes everywhere feel that little bit more homely doesn't it? So when Partylite asked if I'd like to try out some of their candles from their huge collection I jumped at the chance. I'm not one to stick with one brand when it comes to candles - I have lots of different brands, scents and styles in my hoard at home and am always up for trying newbies! Partylite is an awesome company in which you can actually become a host or consultant and run your own candle partys (sounds fun right?!)! I was sent a lovely jar candle and a trio pack and have completely fallen in love with them! Before I had even opened my post I knew what was going to be inside - due to the beautifully strong smell coming from it! I have been so impressed with the quality of these, alot of candles I've paid out for have a lovely scent but they just don't seem to last or don't even smell strong without being lit. These have the most beautiful scents which really last and fill my whole home with their sweet smell. 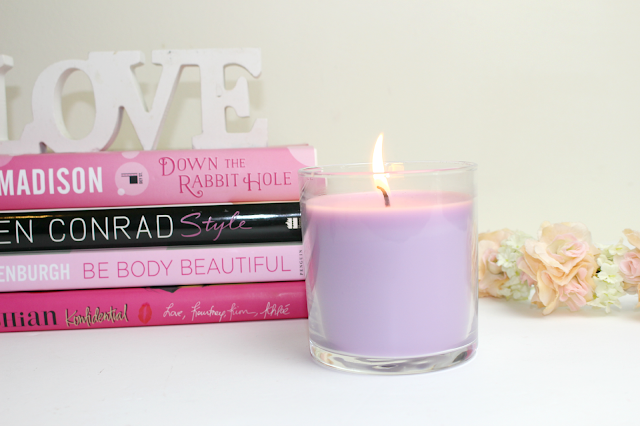 The Berry Blossom candle has become a particular favourite of mine. The smell is very sweet and reminds me alot of a few sweet pea scented products I own. This is perfect for my bedroom and I've spotted that they do a larger version which I definitely feel like I need in my life. The size I have is the escential jar and is priced at £11.50, with a burning time of 40-60 hours! I've already burnt mine for nearly a whole day and I'm not even a 1/4 of the way down! 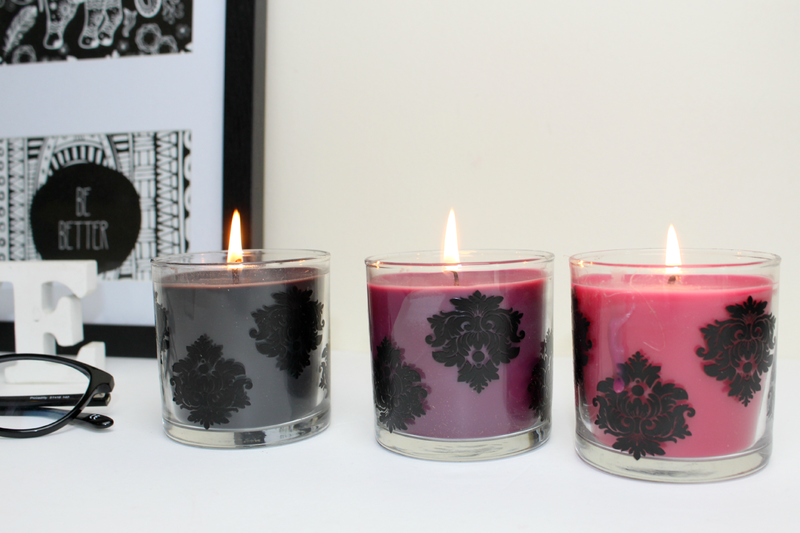 Next I'm going to talk about the mini candle jar trio in Forbidden Fruits. This is a fab way to try out three of the new scents in one easy package! I love that these jars has a decorative design on them, especially as they though with the decor in my flat! All 3 of these scents are rich, strong smells which last and last! Beautiful for the kitchen and bathroom where you may have unwanted smells haha! They are super warm and relaxing and I'll be completely honest - I cannot choose a favourite! These have a burn time of 20-30 hours and the trio is priced at £24.95! You can find all of these and everything else over on the Partylite website - here! Have a search and see if you have a host near you! I can't stop eyeing up the 'Just Desserts' collection - they sound SO yummy! What are your favourite candles brands and scents? These sound lovely and I need to start getting into candles. I love the packaging of the candles-they're so pretty! There's a place here in Charleston called Candlefish where you can literally make your own candles from scratch. They're letting me come in and participate in the class in exchange for a blog post so I'm pretty excited about that! These sound amazing! I can't wait for their halloween collection to come out they look so nice! I love berry scents so these would be perfect for me. These have the most gorgeous names and I can imagine them smelling delicious!